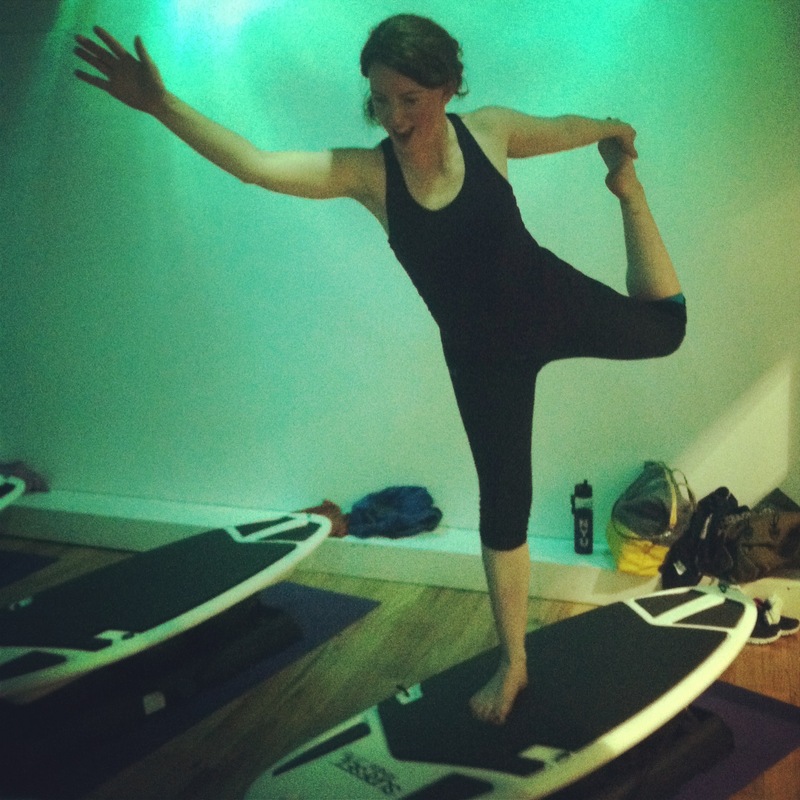 Really, how can you not smile while holding dancer pose on a wobbly surfboard? I feel like everything is coming up Candace right now. I had a fantastic weekend that I can’t stop smiling about. It involved a trip to Brooklyn, winning a picture frame, SurfSet fitness class, riding oversized swings in an exhibit, cuddling by a fireplace and watching the Seahawks win. I went to the office today and got good news that I actually earned more money in 2012 than I was paid, so I could expect a check this week with the retro pay. Plus, that gives me enough to qualify for a better apartment AND my company is sending me a desktop calendar! My trainer told me I could come to Monday night kettlebell class tonight at no extra charge. So the happiness just continues. Also, I must give more props to Quyn who told me not to settle for an apartment I don’t want. That girl is a genius! Now if only I could connect with Tara, all would be right in my world.